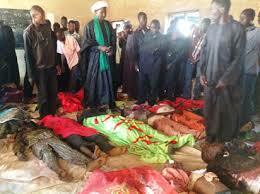 Closing Civic Spaces In Nigeria | Scores killed in Shiites security agents clash. Scores killed in Shiites security agents clash. Security Agents Involved The confrontation that occurred between the security operatives and the Shiites featured the Police as a central actor, as the Police Force had a day before the Ashura event banning all forms of rallies, processions, gatherings and assemblies under any guise across the state with a warning that any person caught violating this order would be arrested and prosecuted. Legal Foundations Section 39 of the 1999 Constitution of Nigeria gives people freedom of the right to expression and the right to hold and impart information, right to personal liberty in section 35(1) of the Constitution .Section 40 of the 1999 constitution guarantee right to freedom of assembly,section 33 of the Constitution guarantees the right to life which can only be deprived pursuant to a sentence by a Court of competent jurisdiction. Rights Implicated Section 40 of the 1999 constitution guarantee right to freedom of assembly. The group's freedom of religion, expression and assembly was violently repressed by the state, in what may appear as a organized clampdown on the group's activities. The yearly Ashura procession and the preceding ban on it merely paved the way for the trampling of fundamental freedoms and rights. About 9 killed and scores injured in the crises that occurred between the Shiites, Security Operatives and Irate mobs/youth.